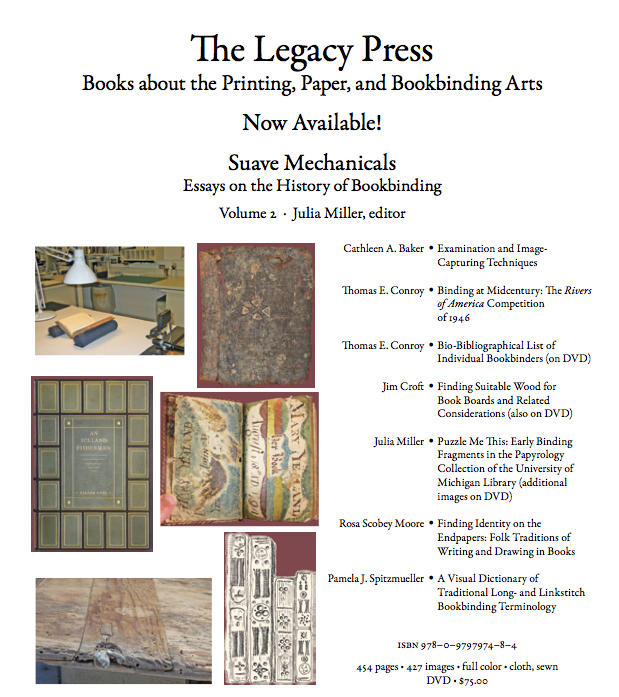 Cathleen A. Baker, founder of The Legacy Press, has just published Volume 2 of Suave Mechanicals, Edited by Julia Miller. 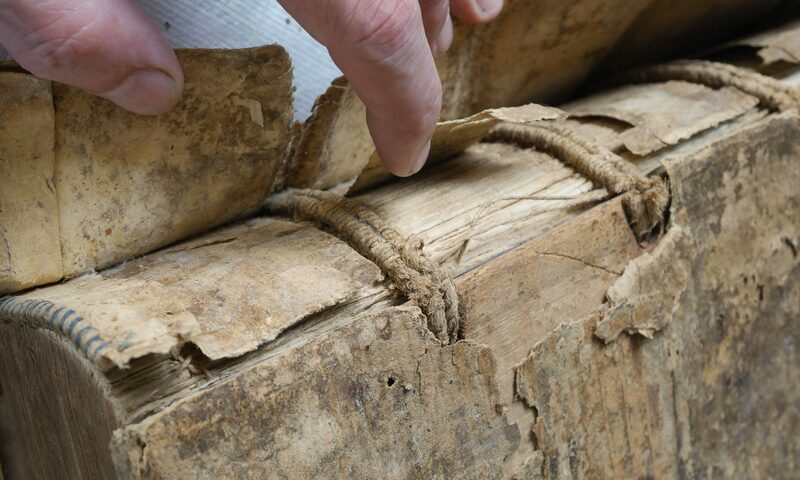 I had a chance to read an early version of Jim Croft’s contribution, and it is packed full of information derived from a lifetime of working with wood and books, all presented in the unique Croftian style. I’m looking forward to reading the entire book, and just purchased it through the Chicago Distribution Center. And if you don’t have Volume 1, you are missing my own contribution, “Beating, Rolling and Pressing: The Compression of Signatures in Bookbinding Prior to Sewing” Buy them both and save on shipping! Larger version of this advertisement: Suave Mechanicals Vol 2. Please circulate.